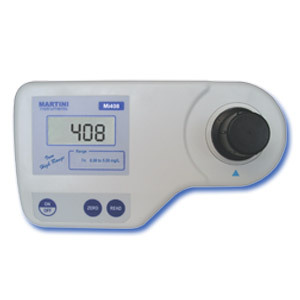 This user-friendly Colorimeter will give you direct readings in mg/L. Iron is naturally present in water supplies and its presence in both potable and industrial applications is regarded as objectionable. 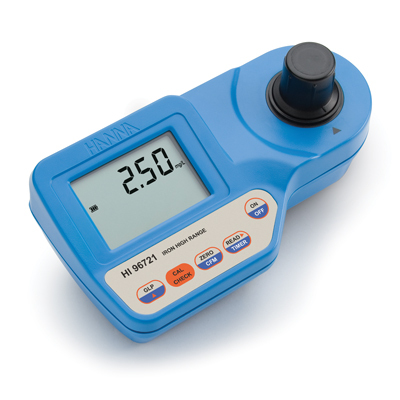 Milwaukee offers Mi408 microprocessor-based instrument with greater resolution, better accuracy and immediate results for measuring high concentrations of Iron (from 0.00 to 5.00 mg/L). Mi408 is supplied complete with 2 cuvets, reagents, hard carrying case, wiping tissue, 9V battery and instructions.